Purchase your copy at AMAZON or at Kensington Books. This is a book that combines Charlotte/Naomi's two series, the Cedar Creek Series and the Willow Ridge Series. The first story is The Christmas Visitors, the Kanagy boys, Nate and Bram, travel to Cedar Creek to pick up their new buggy and sleigh. They meet the Coblentz twins, Mary and Martha. Mary and Martha invite the boys to stay over the Christmas holiday and to celebrate their birthday. I didn't really care for any of the characters in this story. I thought they were all selfish and immature. The second story in this book, Kissing the Bishop, was a lot better. It is the story of the Hooley sister's, Jerusalem and Nazareth. The Hooley sister's are maidel women who think they will never find love. They are helping out Preacher Tom Hostetler, who Nazareth has feelings for. But Tom is not free to marry because his wife left him and divorced him, and in Amish Culture, divorce is not allowed and Tom cannot remarry. His friend, Vernon Geingrich comes for a Bishops meeting. Sparks fly between Vernon and Jerusalem. While the foursome is snowed in, Tom receives a letter that gives him some unexpected news. Will the Hooley sisters finally find love at their age? I enjoyed this story and read it in no time. I liked all of the characters in this one. All in all this was good Christmastime book. Great job Charlotte/Naomi. 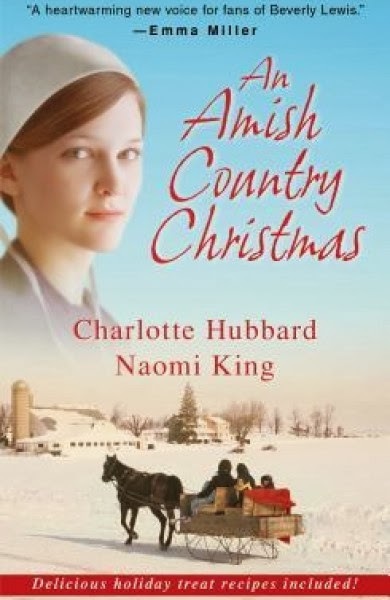 Her latest book is An Amish Country Christmas. Visit her website at www.charlottehubbard.com. Connect & Socialize with Charlotte! How did the idea for AN AMISH COUNTRY CHRISTMAS materialize? This anthology was my Kensington editor's idea! She thought it would be fun, since both of my Amish series are set in Missouri, to have a story set in each of my fictional towns, with a little mix-and-match between characters. Amish and Christmas are an unbeatable combination, far as generating sales—and I thought it would be a lot of fun to write shorter, perkier stories for the holiday. The trick? I chose secondary characters whose romances wouldn't confuse readers about the chronology of each series (although having Preacher/Bishop Tom fall in love does affect the story arc of the Willow Ridge series a bit). And by matching up the redheaded Coblentz twins from Cedar Creek with the Kanagy brothers, I had a "young and restless" story to counterbalance "Kissing the Bishop," where the maidel Hooley sisters, Jerusalem and Nazareth, meet fellows who are worthy of them in midlife. They were fun stories to write. Who are your favorite characters from you two Amish Series? That's a tough question! From the Seasons of the Heart series, I love Miriam, Ben, and Jerusalem and Nazareth Hooley the best—they're people I could count on when times get tough. Abby and James from the At Home In Cedar Creek series have remained favorites—although in the newest book, AMANDA WEDS A GOOD MAN (which comes out this November 5th) I have had a ball writing five-year-old Simon Brubaker and Amanda's four-year-old twins, Cora and Dora. Kids that age really liven up a story, and you never know what they'll say or do next. We've celebrated Christmas in many ways over the years. We don't have kids, so it's always been easier for us to hit the road—and we've been young/able enough to make the drive to various relatives' homes. I have family near Pittsburgh, PA as well as in Kansas City, MO, while Neal's family lives mostly in southwest IA. Our jobs have taken us away from those areas, so if we're to gather with family, we have to drive or fly. Now that we've moved to St. Paul, MN, the closest relatives are six hours away—and now that we have a recently remodeled home, we encourage family members to visit us, because their kids are grown now and they're better able to travel. Our celebration always centers around December church services, because I sing in our choir. In our present church, we celebrate at a late candlelight service on Christmas Eve, as well as with a "sacred music" Sunday earlier in December. At home, we decorate with two Christmas trees—one with ornaments from our various vacation trips over the years, and one with ornaments family members, friends, and I have made. I've already baked most of the cookies for this year, because I'll begin sending them to my agent, editors, and far-away family members in early December—about 75 dozen cookies are stashed in my deep freeze right now, and I'll make peanut clusters and peppermint bark to go with those. For me, it wouldn't be Christmas without making those goodies, even during these past few years when I've been so busy writing these two Amish series. What is your favorite Christmas cookie to bake? Even though they take a lot of time, I most enjoy baking the cut-out sugar cookies and the cut-out gingerbread cookies (both of these recipes are in the Sugar and Spice section of AN AMISH COUNTRY CHRISTMAS, so you can bake them, too!) I only get out my cutters at this time of year, and because I make about 13 dozen sugar cookies and about 7 dozen of the gingerbread, I make and chill the dough ahead, bake them one day, and decorate them on a Saturday when nothing else is going on. I consider them edible art! What is your favorite Christmas cookie to eat? Oh, that's a hard question! Over my years of baking so many kinds of cookies, I've narrowed my baking marathon to only the ones I really love, and the ones that disappear first when I take cookie trays to events. One of my very favorite cookies is a cream cheese macaroon—moist and chewy with lots of coconut! But I also really love the ones with an Andes mint buried inside a soft cookie, frosted in bright colors, with sprinkles! And then there are the sugar cookies and the spicy gingerbread, above—I could go on and on! These recipes are also in AN AMISH COUNTRY CHRISTMAS. Singing the carols! Going to midnight candlelight service! Opening presents with my Border collie, Ramona, who really rips into her gifts and then helps the rest of us open ours, as well. And on good days during the Christmas season, I enjoy the more light-hearted, happy sentiments that folks are more likely to express. I have a lot of wonderful memories of when we crammed our family around a crowded table, when I was the only kid there among twenty-some adults...and now it's just an aunt and me left on Dad's side, and I am the eldest left in my mom's family. No matter where we go or whom we see, however, I cherish the holidays I've spent with my husband of more than 38 years. We've come such a long way since we celebrated our first Christmas as broke newlyweds, and we've been truly blessed. Tom Hostetler opened his mailbox out by the snow-packed road and removed a handful of envelopes. A quick glance revealed a few pieces of junk mail and a letter from an attorney whose name he didn’t recognize before the clip-clop! clip-clop! of an approaching buggy made him look up. “That they are.” Tom smiled to himself as they led Enos’s Morgan into a stall. He didn’t let on to folks, but Nazareth Hooley had been a lot of company to him this winter, and it was too bad she couldn’t become more than his friend. His wife Lettie had divorced him last Spring, and Old Order Amish couldn’t remarry until their former spouses passed on. But his spirits lightened as they stepped into a kitchen filled with the aromas of the fresh pastries and cookies Nazareth and Jerusalem had baked early this morning. As Jeremiah and Enos greeted the sisters and accepted hot coffee and treats, Tom was glad he’d asked them to hostess for him today. What was it about a sleigh that made him feel like a kid again? Tom hurried outside again, delighting in the merry jingle of the harness bells and the proud way Vernon’s Percheron pulled the vehicle. As they stabled Samson and then entered the warm kitchen, Tom felt better about their morning’s mission: Vernon Gingerich was known for his down-to-earth faith and simple wisdom, and his sense of humor made even the most difficult tasks easier to accomplish. As the women greeted their final guest, Jeremiah and Enos replenished their plates and made Vernon welcome, as well. It did Tom’s heart good to hear these voices filling his kitchen, to feel the presence of friends who would put their faith and best intentions to work today in behalf of Willow Ridge. Living alone this past year had taught him to appreciate the company of those who had seen him through some rough months. Her sweet smile made Tom wish the snow would pile up around the doors so they couldn’t get out for days—after Enos and Jeremiah had gotten safely home, of course. But he set such wishful thinking aside and led the way into the front room. It was time to determine who would lead Willow Ridge into the New Year . . . into a future no one but God could foresee. “Have you ever seen blue eyes that twinkle the way Vernon’s do, Sister?” Jerusalem whispered. She peered through the doorway at the four men who sat around the table where Tom usually carved and painted his Nativity sets—except she and Nazareth had cleared the wooden figures from it earlier today. Jerusalem ducked back into the kitchen when the white-bearded bishop from Cedar Creek smiled at her. “Jah, you’ve got that right. I’m thankful the gut Lord opened our eyes to his underhanded ways before I let myself get sucked in.” Jerusalem stirred some barley into the pot of vegetable beef soup on the stove. Truth be told, she had been attracted to Hiram Knepp from the moment she’d set foot in Willow Ridge last fall—and he had taken to her right off, too. But as time went by, she’d realized the bishop was more interested in having her keep track of his four younger children than he was in hitching up with an outspoken maidel who’d become set in her ways . . .
Is it too late for me, Lord? Jerusalem watched the emotions play across her sister’s face as she set places around the kitchen table: it was no secret that Nazareth and Preacher Tom were sweet on each other despite that fact that they couldn’t marry. Surely there must be a fellow who would appreciate her own talents for cooking and keeping up a home . . . a man who could tolerate her tendency to speak her mind and do things her way. Was it such a sin to be competent and efficient enough that she’d never needed a husband? Silly? Confused? Those were hardly words Jerusalem associated with her sweet, hard-working sister, but she certainly understood Nazareth’s sentiments. She, too, had spent her adult life believing she had a different mission from most Plain women. 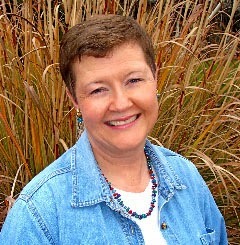 If Hiram hadn’t upset her emotional apple cart, why, she would still be staunchly convinced that teaching—and then coming to Willow Ridge with their three grown nephews—was what she was meant to do. Now she had a bee in her bonnet and she buzzed with a restlessness she didn’t know how to handle. And her longing wouldn’t disappear just because Hiram had. As the men took places around the table, Jerusalem opened the oven to remove the pan of open-faced ham and cheese sandwiches, which looked like little pizzas. She had picked right up on the fact that Tom hadn’t said Vernon was heading back. Although Cedar Creek was a lot farther away than Morning Star or New Haven, he wore an unruffled expression, as though driving home was the least of his concerns. Nazareth dipped up big bowls of the steaming soup, chockfull of vegetable chunks and beef, while Jerusalem set butter and jelly alongside a basket of fresh whole-wheat rolls. “Looks like a feast,” Enos said in his raspy voice. Jerusalem noted the way her sister nipped at her lower lip before biting into a roll she’d slathered with butter and jam. Well they knew the blessing Tom Hostetler had been to them and to this entire community, even if it meant Nazareth must put aside her hopes for romance. And while Tom’s expression suggested he had his share of doubts and questions about the role he would assume, he was accepting this new wagonload of responsibility as God’s will for his life. Tom’s faith—his willingness to serve without complaint or question—will be an inspiration to us all, Jerusalem thought. Give me the grace to follow where You’re leading me, as well, Lord. When Jerusalem looked up, Vernon Gingerich was studying her, and he didn’t lower his eyes for several seconds. It felt unseemly—downright brazen—to return his gaze, yet she indulged herself in this fascinating man’s silent attention anyway. Hadn’t Tom mentioned that the bishop of Cedar Creek was a widower? The conversation continued along the lines of farming, shepherding of human flocks, and other topics of common interest as Jerusalem refilled soup bowls and Nazareth brought the goody trays to the table. What a blessing it was to be surrounded by the wisdom and experience these three bishops had brought with them . . . a balm to her soul, after the way Hiram had condemned them when they hadn’t followed him to Higher Ground. It was such a delight to watch the men devour the cookies they’d baked, too. All too soon they were scooting back from the table. news she’d heard in a long, long while?